Let’s just jump right into the #WeatherReportByVicster, shall we? So in Month Five I learned that the temperature and the dew point like to be twinsies and no matter what I pull out of my closet I’m basically going to be wearing the air for the foreseeable future. A couple of weeks ago I was reading in my living room chair and I heard Charlie chattering softly in the other room. This went on for several minutes and I figured he was playing with one of his toys, since he loves to carry them around and “sing” to them. I got up to get a glass of water and saw Charlie playing next to the kitchen, still murmuring. Only he wasn’t playing with a toy mouse: apparently a beetle had gotten inside and instead of killing it, Charlie was giving it a tour of the apartment. So much for his feline hunting instinct. Other than being too tender-hearted to be a bug-killing machine, Charlie and his brother Clancy are well and happy. Of course, neither has had to visit a vet yet, but we’re coming up on annual exam and s-h-o-t season. Given how miserably hot and humid it gets, I’m thinking of using a mobile vet for these services, to avoid the extra stress of car travel. Clancy and Charlie are exhausted from a day of napping. We celebrated Clancy’s birthday on June 1st. We don’t really know when he was born, so we celebrate in June, since we celebrate Charlie’s birthday in July. Despite the heat Clancy still loves to snuggle in bed at night and take naps on my lap. Not the most comfortable thing when you are a human woman of a certain age who is prone to hot flashes, but Charlie and I are so lucky to have Clancy and his big, sweet heart in our lives. I recently began volunteering with Best Friend Pet Adoption in Cary. I spent some time last week taking portraits of some of their adoptable kitties. Unsurprisingly, I fell in love with every single one of these sweet babies! I can’t bring them all home with me, but I have talent that I can offer to help them all find good, loving homes. Calgary is a beautiful, sweet girl available for adoption. I am also looking for housing advocacy groups to volunteer time and talent with. From my time in the Bay Area, I know that fair and affordable housing aligns closely with animal advocacy because, when a family experiences housing destabilization, pets often get left at shelters or abandoned. The growth that the Triangle is experiencing–including the potential for both Apple and Amazon coming to the area–is putting pressure on housing and I intend to be a very loud voice for making sure Raleigh doesn’t sell its soul like the Bay Area did. There is one other Passion Project that I have in the works and I hope to be able to talk more about it in the coming days/weeks. The first weekend in June was the Triangle Pen Show in Raleigh. I had never attended a pen show before, however, I have attended camera/photography shows and know how easy it is to drop a few hundred dollars before you’ve gone five feet into the showroom, so I had a seriously restricted budget. I did allow myself a couple of bottles of ink and some notepads for work and a new journal (I’m venturing into the world of Bullet Journaling), and I got a good idea of what pens I want to save money up for *cough*FRANKLIN-CHRISTOPH*cough*. 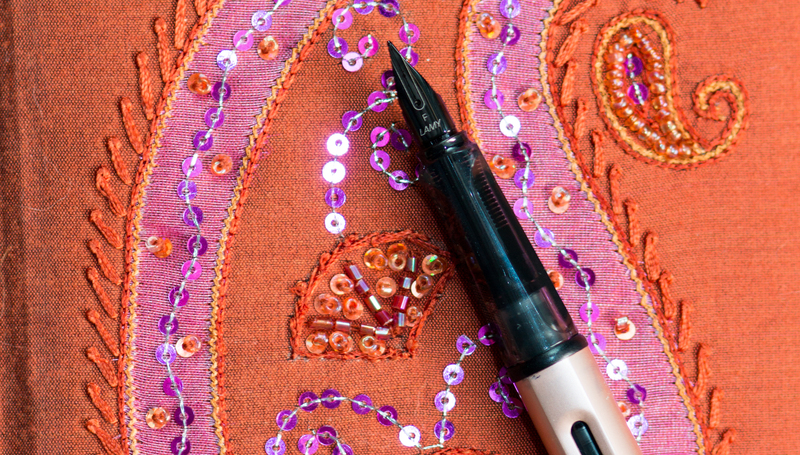 I found myself lusting after my friend Corinne’s new F-C pen (custom made at the show), and got to play with several more of them this past weekend at the Triangle Pen Club meetup. Franklin-Christoph is a local company (headquartered in Wake Forest, NC), they’re very nice folks and everything they had, from pens to notebooks to inks, was just gorgeous! With Corinne in town for the pen show, it was the perfect excuse to finally try The Fiction Kitchen diner. It was recommended to me when I visited last year and it really lived up to the hype! Yet another data point showing that vegetarian dining is not boring or flavorless. I had a mock-fried chicken sandwich with smashed potatoes and we split some root veggie fries with chipotle “buttermilk” dressing and cornmeal fried oyster mushrooms with a dill aioli and it was all delicious. Also, I really wanted to bring this vase home with me. Other than that and a couple of other trips into downtown Raleigh, I haven’t done as much wandering as I would like, now that gas prices are creeping toward $3/gallon. But I have a couple of day trip ideas in mind and hope to hit the road soon. It’s hard to believe I’m already heading into my sixth month here. In some ways west coast life seems like a distant memory and yet there are days when I forget I’m not in California (until I step outside into the Wall Of Heat And Humidity). As always, there are days when I hit my stride and days when I stumble, but it’s all experience and I look forward to more learning and more growth in the month to come. Next PostIT’S WORLD CUP DAYYYYYYYYYY!! !